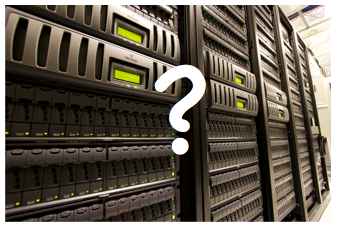 do IT users care about the datacenter? The datacenter – the IT business hub. Or it used to be. End users could not care less about it. What they care about is applications availability and response times and the ability to get IT access from whatever device they choose and from wherever they want. The business increasingly makes decisions on what applications are used, where the applications are sourced and who supports them. There’s no love affair between the business and the organization called IT operations because it’s not about technology it’s about getting the job done. It’s not that datacenter availability isn’t important it’s just not important to users – the business measures IT value against the quality of support and applications availability and performance not servers, storage and networks. Some will struggle with how monitoring the datacenter does not equate to understanding and measuring business availability. It was not so long ago companies providing datacenter outsourcing services would have a huge display in reception with topology maps showing a red, green, yellow status of the datacenter infrastructure. I can only assume it was designed to show control and understanding because I’d argue the computer room could spontaneously combust and no-one would be any the wiser until the end-users reported problems accessing their applications. How many times have you thought “I wonder if the servers are performing well today?” or “I hope my files are backed up and secure”. What you probably think is “email is slow, IT need to fix it now” and if data is lost or corrupted “IT had better get it back now”. My point is this, the datacenter will continue to be critical to the IT organization responsible for managing it – not to the businesses that use it. For the business it’s all about the application – no matter where it resides or who manages it and the fact an application requires hardware and software to live is, from the user perspective, is irrelevent. It’s assumed. In late December 2012 Netflix had issues. The fact it was over a holiday period made the problem even more annoying. It was a Netflix problem and twitter lit up with customer feedback for Netflix. Netflix blamed the issue on Amazon Web Services servers and said Amazon was addressing it. So, that’s ok then? It’s not a Netflix application problem – it’s a an Amazon server problem. It doesn’t matter if Amazon’s servers were the real problem, it is Netflix’s job to make sure their applications are not plagued by a weakness in server capacity, performance, architecture or design – no matter who they decided to source this critical task to. Subscribers to Netflix do not pay Amazon. It’s the same for any IT organization delivering IT application services whether they are internal or external to a business. Monitoring the datacenter to identify and solve issues is one thing – using the same element monitoring to try and demonstrate value to the business is another. Managing the datacenter is mandatory, however using element based availability metrics as proof of IT business value and application availability is no longer acceptable. From a business perspective the value of IT is assessed through the lens of their business users – not the datacenter. This will increasingly result in IT value being assessed from the end user to the application source measured against services levels which means datacenter components can go up and down all they like as long as it doesn’t have a detrimental affect on business service levels. With the growing trend to use applications from cloud based service providers who can tell where all the parts of an application are? Netflix is hardly unique, architecturally, in the way it provides services. As more applications are made available in the cloud the location of the supporting infrastructure is likely to be in the hands of one or more additional cloud service providers. So, who cares about the datacenter? The people responsible for managing it, developers, testers and business unit personnel who pay for capacity. For users and the business – it’s all about the application.